In my opinion, jeans are the number one fashion must-have item because it's incredibly versatile. I don't know about you, but since I wear jeans almost every day, I am always looking for the pair of jeans with the "perfect fit." For the Parsons x Teen Vogue Certificate Program, one of my assignments was to research sizing at a large department store- which to my luck, required a bit of shopping! I decided to stop by Macy's and take a peek at their selection of jeans and I tried on what felt like dozens of boyfriend jeans in all different sizes from all different brands. I discovered that for most of the brands I was consistently a size 25/26. In the photo above, I featured a new pair of Rachel Roy jeans, a pair of Joe's Jeans and a pair of Lucky Brand distressed jeans that I purchased a while ago. The Joe's jeans I already owned is a size 26, while the other two pairs are a size 25. While at Macy's, I also tried on many skinny jeans before finally settling on these two pairs. Besides the long length, they both fit me well. However, I found that DL1961 jeans stayed truer to the skinny fit style, as they hugged my calves and ankles more. 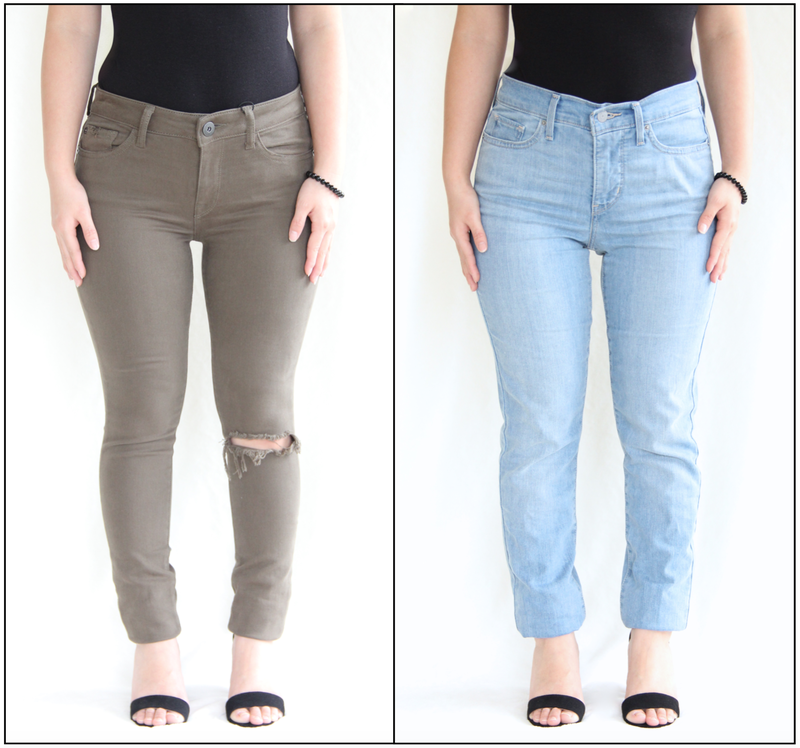 Even if they are both skinny jeans, they are different sizes- the DL1961 jeans are a size 24 and the Levi Jeans are a size 27. 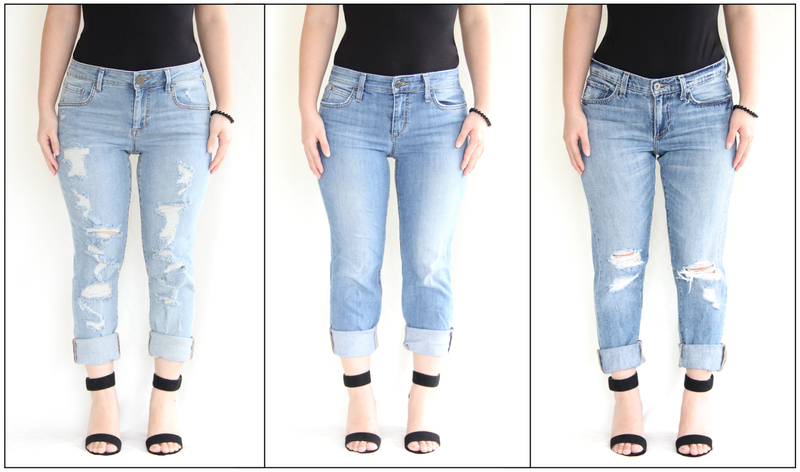 Since every brand has a different sizing chart, I believe it is important to try on the jeans before purchasing them because you might be a size smaller or larger in various brands. That statement is also true for tops and even shoes. Also, you may have two pairs of jeans from the same brand, but you may need two different sizes because the jeans are different styles. For example, I love Topshop jeans because they fit me really well. In the high-waisted "Joni" jeans I take a size 28 and in the "Leigh" skinny jeans I am a size 26. I don't know about you, but when I find a pair of jeans that fits me well, I like to purchase at least one "back-up" pair, so when my first pair wears out, I can breathe easy knowing I have another one stored away. 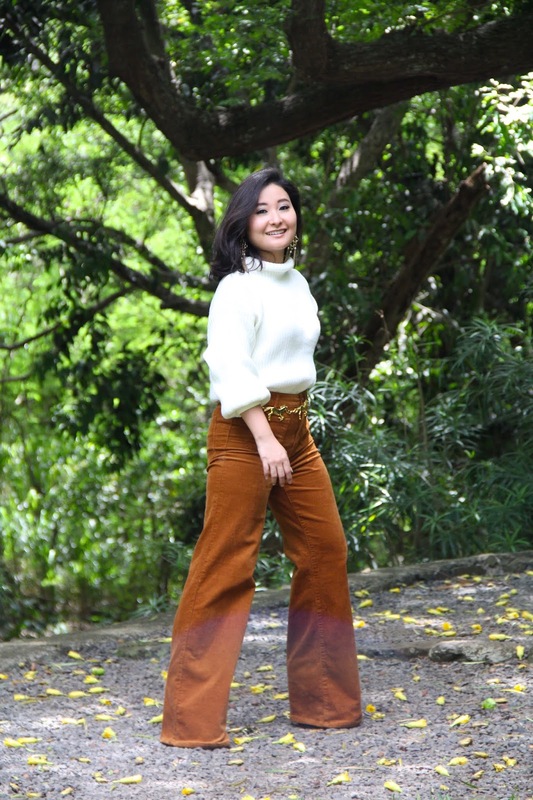 Most of the time when I purchase a "back-up" pair of jeans from Topshop or from various brands at Macy's and Nordstrom, I can rest assured that they will fit me just as perfectly as the one I have. However, when I went to purchase a "back-up" pair of these BONGO jeans (featured above), none of the jeans fit me. I tried on two of the exact same pair in the exact same size, style, and wash, and I found that one was too big and the other was too small. This could be a result of the "1/2 inch tolerance." This also happened when I purchased multiple pairs of the exact same jeans at Forever 21. In the same wash and style, I bought a size 24 and 25 because they both fit me the same. Let me know in the comments below if you find yourself purchasing various sizes of jeans or if you tend to purchase the same size. Above all else, remember that no matter what size you are, you are beautiful. Size is just a number and beauty cannot be measured with a measuring tape. As always, I am sending you lots of love from my heart to yours! 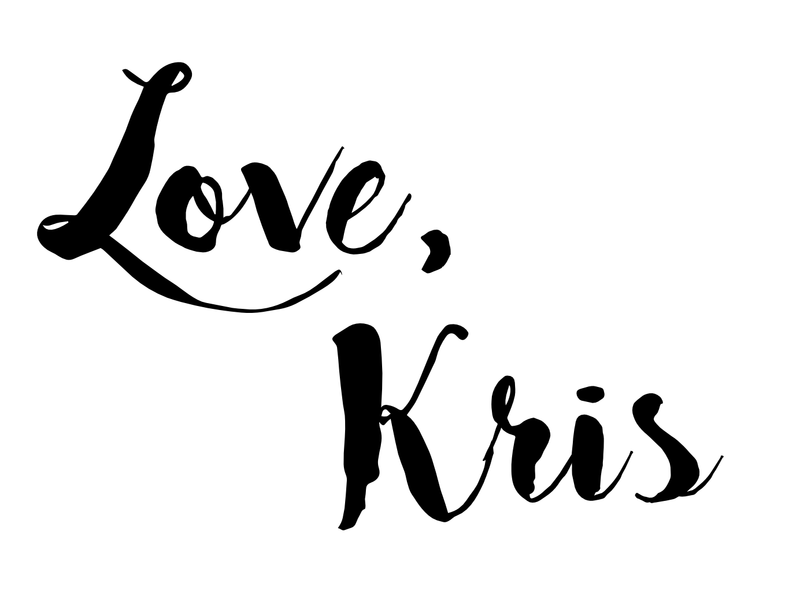 Hey Kris, so I finally made it to your blog- woop! I know jeans are a must-have but I havn't worn a pair in over 10 years and don't plan to wear a pair ever again. I do like them on other people though. That is an interesting program assignment for sure- sizing can be so tricky in stores, as I find they fluctuate. Thank you so much for stopping by! Wow, I cannot believe you haven't worn jeans in over 10 years! 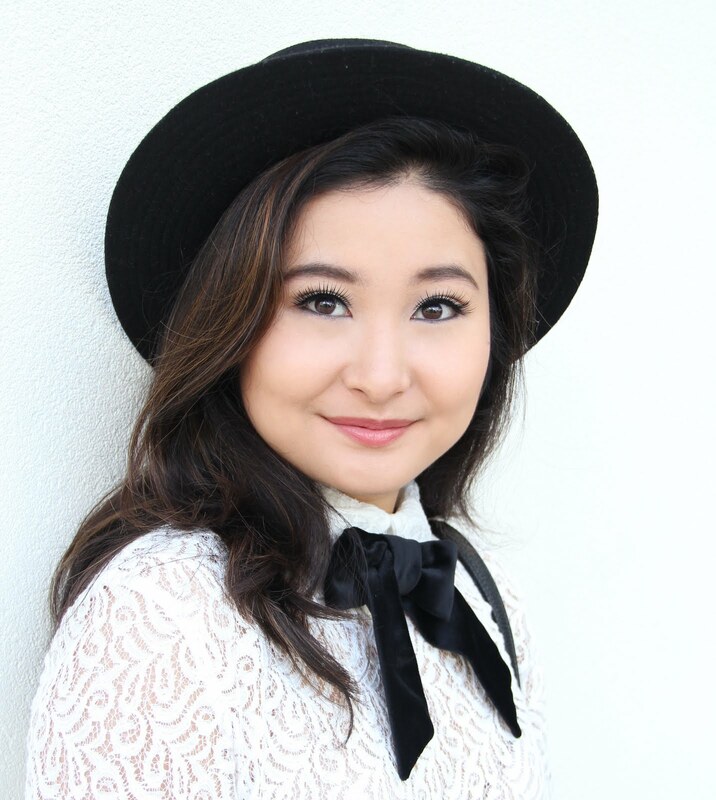 I absolutely love your style and your blog is AMAZING!! !